Oven Cleaning W4 Southfield - Great Deals & Schedule | RDA Cleaning & Maintenance Ltd. Trying to renew your previous desire to live healthy, which involves healthy domestic food? Don't forget to clean the oven in a natural way, then. Try the organic and smart expert oven cleaning service in Southfield W4 our company has designed for you! The burnt out stains and the greasy surface should be in past, because the oven must be shiny and healthy! Rely on the diligent and experienced oven cleaners. Call them in your house and let them show you how the innovative oven cleaning service works. Make an order for the service via this phone number 020 3404 1646 ! We are available for your questions and reservations 24/7! RDA Cleaning & Maintenance Ltd. was established as a very small family business in London back in 2008. We immediately realised how many people and businesses in the area needed professional and yet affordable assistance with their cleaning and property maintenance jobs. This is why, we began expanding the range of services we offer to the private and commercial residents of the area. We hire only careful vetted oven cleaners in Southfield W4. We train them, assist them in getting certified and provide them with the top-notch Prochem certified, safe and eco-friendly cleaning and other solutions, as well as the latest, professional cleaning tools. All services are fully insured. 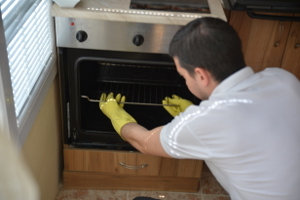 Hurry Up & Book A Trustworthy Oven Cleaning Company In Southfield W4 Now! RDA Cleaning & Maintenance Ltd. is waiting for your orders and calls for more additional information on this phone number 020 3404 1646! Get a free quote now and you can receive quality oven cleaning service in Southfield W4 by the end of the day.